Tucked away on one of Hollywood’s most desirable streets is a beautiful home that defines easy elegance and gracious family living. This 1948 beauty combines the classic character and charm you’d expect from a home this age with all of the modern amenities suited to today’s active families. 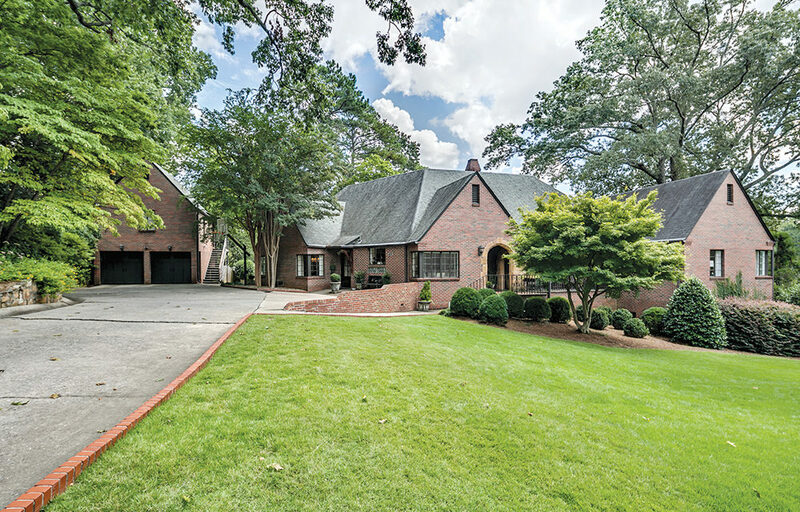 Situated conveniently just a short drive from downtown, UAB, and other over-the-mountain communities, this house is just a short hop to some of Homewood’s best restaurants and shopping. Ideal for entertaining, this unique home features spacious rooms on three large levels with flawless flow that allows guests to comfortably spread out and circulate easily. So whether you’re hosting extended family for a holiday dinner in the formal dining room, a child’s birthday party in the finished basement, a cocktail party on the main level, pre-prom pictures on the large back patio, or a neighborhood soccer game in the expansive back yard, there’s room for it all and MORE. Or simply curl up on the couch in the cozy family room, build a roaring fire in the wood-burning fireplace, and enjoy a family movie night in quiet comfort. This house truly has it all. From the retro-cool laundry chute to the collector’s dream wine cellar, this fantastic family home combines fun, function, and surprising space that make it the perfect gathering place for family and friends. And the full one-bedroom apartment above the detached two-car garage is perfect for in-laws or out-of-town guests. For more information on this property or to schedule a showing, contact ARC Realty agent Barbara Lummis at blummis@arcrealtyco.com.